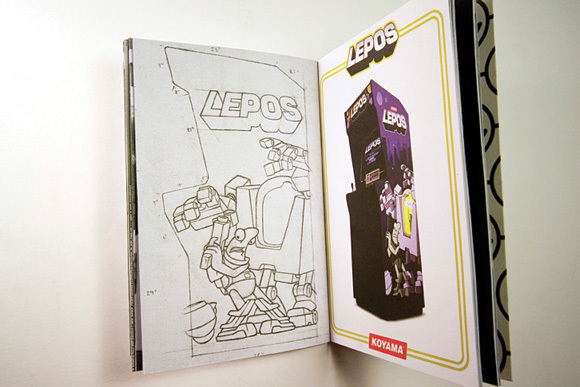 The LEPOS Bible follows Diego Bergia’s worldwide street art project that began back in 2004. 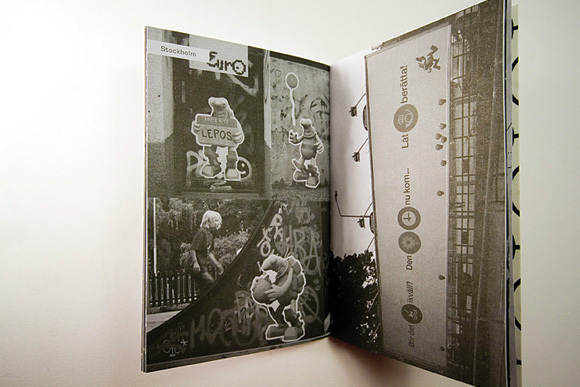 The 66 page pocket sized book is packed with street photos, testimonials, writings, comics, sketches and jail stories. 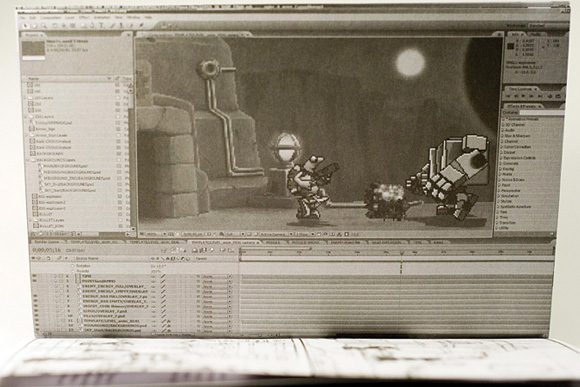 Also included is a detailed documentation of the making of the LEPOS arcade game, a video game demo that would have taken over the world if it was ever made. 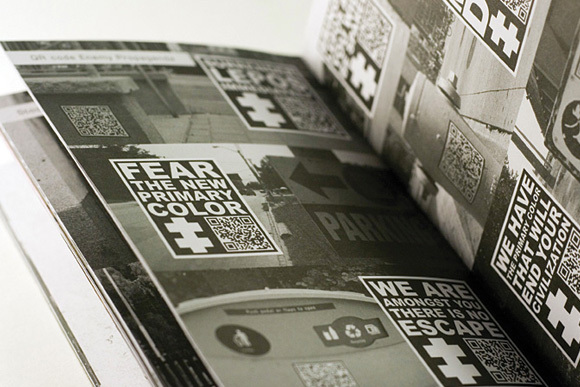 With a forward by street art aficionados the Wooster Collective, this book shines light on how and what it takes to single-handedly create an urban viral marketing campaign. 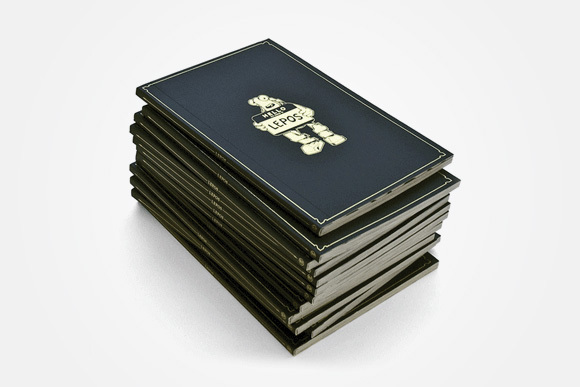 4x5 inches, 66 pages, b&w and colour, embossed gold softcover.